I'd hoped to have the second part of my gaming history ready in time for today, but things went awry and it never quite gelled, so instead I'll just say thank you to my Gone Gaming blogmates and to all our readers. Special thanks go to Coldfoot for his initiative and for including me in the project. I hope that 2006 is another great year for the hobby. Holidays and Games: A tale of a car trip, a shop, a calamity and the game publisher that saved Christmas. Merry Christmas, Happy Hanukkah, Happy New Year and the Compliments of the Season to all our readers. We're back home and recovering from our 860 km trip north to Sydney to spend Christmas with Fraser’s family. To make the 10-hour car trip easier on all of us, we decided to split it over two days. In setting our day 1 target at Wodonga, 3 hours north of Melbourne, I confess to having had an ulterior motive. Wodonga's Twin City Albury has a games shop, with an ex-employee who posted regularly at BoardGameGeek. We were intrigued enough by her posts to want to see the shop for ourselves. And what a games shop we found! When we arrived, just after 10am on a Thursday morning, the shop was BUSY. There was a good range of customers – gamers and non-gamers, children and adults, families and single people. The shop itself was clean and brightly lit, with walls lined with games and a range of giant chess pieces (available for hire) in the window to draw people in. There was none of that back room/slightly dingy feeling that many games shops seem to have. Up the front, there were children's games, with a range of Knizia's children's titles displayed prominently over a couple of shelves. Moving through the store, we saw a pile of Carcassonne, with a "recommended" notice that went into some detail about its Spiel des Jahres win. Settlers was prominently displayed, including a copy of the new Settlers chest (I looked but didn’t buy) and there were other big piles of 'featured' Euros on tables throughout the shop. A display folder held reviews of games for shoppers to browse, and many games were shown with little personal notes about what great games they were. When we asked about 'Essen games', Phil (the owner) disappeared into his back room and came back with a range that included Big City, Attribute and Shear Panic (!). More common games, including a range of -opoly variants, are further back in the shop - the opposite of the usual layout where Euros are banished to the back corner. This shop challenges many larger games stores to lift their no-pun-intended. Phil and his staff are clearly excited about games, and about helping their customers discover new games. They run a very accessible shop which offers something for everyone, whatever kind of gamer they may be. The shop has close ties with local game groups, which are clearly very active and enthusiastic – one local member publishes a regular game review in the regional newspaper, alongside their film and DVD reviews. A staff member is paid to visit local schools to demonstrate games and spread the word more widely – he clearly does a great job, as one school asked him to come back and run a full day program for them (and paid him for it too). Phil is a guy who believes in his product, and works hard to promote it. With around 100,000 people in the region, we felt that he would have to work to build his market, but he's clearly doing it very successfully and enthusiastically. We left with Big City, Attribute, Pick Picknic, Guillotine (for Fraser's 12 year old cousin), Halli Galli (another gift), a 'Diablo' toy for Biggie and a puzzle called Rush Hour, which has been recommended to me (as a game) by several parents at Biggie's school. Not a small haul. Rush Hour is an interesting toy and would, I think, appeal to many gamers. It’s clearly a big seller for this year, and the shop had a big display with giant-sized pieces for customers to try. It’s a fun little puzzle, in which you try to move a gridlocked car off the 'roads' (a 6x6 grid). The puzzles are divided into four difficulty levels; the 'easy' ones are definitely easy, later puzzles less so, and we've not tried the 'Expert' level yet but I hear they can seem diabolical. Additional card sets are available too. We took it to Christmas lunch and all the kids (aged 6-12 or so) gathered around to play it, while some of the parents snuck peeks too. Otto's keen just to play with the toy cars. Back home, it was the adults' turn to fiddle with it. At heart, it's a very dry abstract, but the theming works well – I'd recommend it for anyone over eight, possibly even younger. It's also very well packaged, which impressed me. They even supplied the elastic band to hold the lid on! A brief stop at Mind Games Albury on the way home netted us a copy of Gargon, an older Rüdiger Dorn game. I've been a Dorn fangirl since getting the Louis XIV bug, and very much enjoyed this lighter card game when a friend brought it round recently for us to try. We didn't do very much gaming at all on this trip. It was hot and humid, and swimming pools were a higher priority than scoring tracks, especially for the kids. We gave Biggie, after much pleading, a copy of Connect Four for Christmas. It had a good run, as did Boggle and Auntie's set of dominoes. We managed most of a game of Bohnanza one hot evening, played Gulo Gulo with a BGG buddy and his family, and I think one of Fraser's stepbrothers may be interested in Ticket to Ride, especially the Märklin version, but all in all not much gaming was done. We hope that our holiday at the beach will see rather more gaming - we're both on leave until the end of January, so we should have plenty of time for it. Fraser and I didn't give each other games this year – our gifts were a casualty of the need to pack the car, although I did manage to buy a dice tower for Fraser (it's the "woodburned sample" with the F on the front), which was waiting for him at home. I do have something coming (from adamspielt! yay!) from my BGG Secret Santa, a last-minute activity that really added some fun to the Christmas season thanks to Tom Vasel. My mark got a copy of Power Grid and some Meeple-shaped gingerbreads - I'm still terribly proud of the Meeple-shaped cookie cutter that I made before Christmas. We got a big parcel from another BGG buddy today, who had ordered in bulk from Boards & Bits and forwarded some games to us on the slow boat, which feels like our Christmas gift to ourselves. With gaming sessions planned for January 2nd and 6th, as well as whenever our friends want to play, the gaming outlook is fine for 2006. How Looney Labs saved our Christmas. A month or so ago, I finally bit the bullet and ordered a copy of Zendo from Looney Labs. They were offering a free copy of "Flowers and Fluxx" with every order over a certain amount – essentially, a copy of Fluxx with some little plush posable flowers. Being a sucker for any kind of freebie, I ordered a set. When it arrived before Christmas (in about 4 days – how's that for prompt shipping! ), we decided to give one little flower to each of the six girls or women we were looking forward to spending Christmas with – our daughters, Fraser's sister, and his cousin and her two daughters, who were travelling to Sydney from New Zealand. We packed them up in the bags of presents and loaded them into the car. Christmas Eve came, and we finally got the girls settled into bed around eleven (we'd been out visiting the cousin and her family). We retrieved all our bags of presents to wrap them, while Santa did his special magic. We'd left some of the larger gifts at home, so I wrapped a gift for each of the girls – a toy for Otto and a copy of Connect Four for Biggie, before sorting out the rest of their smaller gifts (mostly books) from their individual bags. When we packed the car, we had done the unthinkable: all of Otto's carefully chosen gifts were still in Melbourne. That's right. I left my daughter's gifts in another city, and didn't realise until it was too late to buy things anywhere except a 7-11. We had nothing to give our almost-three-year-old, who had been looking forward so desperately to Christmas. I was calm for about half an hour, then had a spectacular meltdown. Which just proves that melting down can be constructive, because I didn't think of anything while I was calm! We had bought her a magnetic "Maisy Mouse" playboard to use on the car journey, which we'd never given her. Retrieving it from the car, I wrapped it. Things were looking better, but it didn't feel like we had a proper gift for her yet. Then inspiration struck. Forget supplementing other presents with plush posable flowers, we had a bouquet for our little darling. Well, that bouquet of flowers was the first gift she opened, and the one she carried with her all day. She kissed them, she cuddled them, she showed them to everyone. We played guessing games where we hid one flower and she had to guess what colour was missing. They were in her hand when she dozed off in the car, and in her hand when she sleepily toddled into her auntie’s home at eleven o'clock that night. They were the gift that the other kids wanted to look at and play with, and the gift that she guarded most fiercely – even overcoming her reticence to speak to one of her stepcousins (she'd never met any of them before) to ask for her flower back. So thankyou to everyone at Looney Labs. You saved Christmas. Lastly, a reminder about our very own Gone Gaming: Board Game Internet Awards. If you've not already read about them, please do so and nominate your favourite sites, articles and podcasts for this prestigious award. With 3 days remaining of 2005, I took a look at my game statistics for the year and was sad to see that I’d only played 211 games—a lot less than I’d LIKE to have played. I hope next year will be better, but I won’t hold my breath. Within that 211 games were 83 different games, many of them with just 1 play, but several that found their way to the table many times. Memoir ’44—10 plays. A light war game that’s fun to play as long as you don’t mind the quirks that luck can play on you. Attika—9 plays. Great as a 2-player game that my husband doesn’t mind playing with me. I really like resource management and that’s what this game is all about. Architekton—8 plays. I kept coming back to this one trying to figure it out because it just doesn’t feel quite right. The basic idea is great but it never really played out all that well, in my opinion. Fjords—8 plays. Fjords got many plays because it’s so quick and we really enjoy it. I’ll play this at the drop of a meeple. Shadows Over Camelot—7 plays. Cori and I really enjoyed this at first but, as I figured, it doesn’t have the staying power to draw us back repeatedly. Ta Yu—7 plays. A very good 2-player game with fabulous pieces. Richard and I like it for a quiet, pensive time together. Two plays were with 3 players which makes the game a bit different, strategically, but still very good. Plunder—6 plays. Richard and I really enjoyed this for a while but I haven’t been drawn to it recently. There’s a lot going on in this game and yet it feels light when you’ve played it a few times. Jambo—6 plays. One of my favorite Kosmos 2-player games with it’s variety of card abilities. Titicaca—6 plays. An interesting area-control game with auctions, building and merging of areas. It also plays pretty well with just 2 players. Ingenious—5 plays. I’m not totally impressed with Ingenious but it’s a good game to play with my son and his girlfriend. StreetSoccer—5 plays. A fun time for 2 players when you want something light and fast. There are strategic choices to make but the roll of the die can still jump on your back and make you holler for mercy. Through the Desert—5 plays. Still one of my favorites and I often use it with new gamers since it’s easy to explain and not that hard to comprehend but it displays well the idea of Euro-games—your decisions matter. Corsari—4 plays. A simple variant of Gin Rummy which my husband likes very much and often suggests we play. Crazy Chicken—4 plays. This simple card game is one of my favorites when we’re too tired for a heavier game. Hansa—4 plays. I’ve played this many times with 2, 3 and 4 players and I still enjoy it. Managing Action Points is always fun for me, combined with balancing your selling and building which makes this one of my favorite lighter games. Rheinlander—4 plays. One of the best games I bought this year with its take-over area control and hand management. I hope to try out the 2-player variant soon which Chuck Messenger posted on BGG recently. It sounds like a very good scaled-down version which keeps the play tight. For those of you regular readers who are curious, no, I still haven’t bought any new games! I haven’t even been tempted in the last 2 weeks although I have been checking the Boardgame News site regularly. It’s been a very dry couple of weeks here so the only game I have to mention is Flandern 1302. Christmas Eve I persuaded Cori and Richard to give it a trial run with me and I have to say we were less than bowled over by it. We were pretty bored for the first half of the game and, although a couple more plays may improve our opinions, I doubt it will ever become one of our favorites. On reading the rules, I felt it has the possibility for some clever moves and forward planning but the first game didn’t see us using the neutral guild to our best advantage. I would like to give it another try but I’m afraid I may not be able to convince Cori to give it another chance. Until next time, I wish you a Happy New Year filled with Love from your friends and family, Peace in your life and your mind, and Joy in everything that you do. I, and the staff of Gone Gaming, are proud to announce the Gone Gaming: Board Game Internet Awards. There are plenty of awards in the board gaming world that reward the games themselves, but none of them cover the online world of board games. This award seeks to fill that gap. 3. A site nomination will be deemed invalid if the Gone Gaming staff says so. Update: Invalid nominations will be removed, in order to avoid clutter. 5. A site should only be nominated once in a category. Before nominating a site, please check to see whether or not it has already been nominated. Update: Duplicate nominations will be removed, in order to avoid clutter. Remember: you are not voting for a site, you are only nominating a site. 9. Nominations close at midnight (EST) at the end of Saturday, Jan 14. The awards will be announced by midnight (EST) at the end of Saturday, Jan 28. Update 12/28/05: The Gone Gaming staff has decided to remove the "online game store" award for various reasons. For more information on the Gone Gaming: Board Game Internet Awards, please see this post. This post is a placeholder to accept nominations for the GG:BGIA for Best New Game Blog, Podcast, or Videocast. In general, any blog, podcast, or videocast that went online in 2005 will be considered. Nominations will be closed at midnight following Saturday, Jan 14, 2005. This post is a placeholder to accept nominations for the GG:BGIA for Best Podcast/Videocast Episode. In general, any episode of a podcast or videocast about board games, either for a particular game, or board games in general, that was posted in 2005 will be considered. This post is a placeholder to accept nominations for the GG:BGIA for Best Podcast/Videocast. In general, any podcast or Videocast about board games, either for a particular game, or in general, will be considered. This post is a placeholder to accept nominations for the GG:BGIA for Best Game Blog Post. In general, any blog posting about a board game or board gaming that was posted in 2005 will be considered. This post is a placeholder to accept nominations for the GG:BGIA for Best Game Blog. 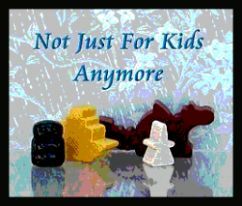 In general, any blog that is primarily about board games will be considered. This post is a placeholder to accept nominations for the GG:BGIA for Best Session Report. In general, any report on a board game session, either for one particular game, several games at an event, or for a convention, that was posted in 2005 will be considered. This post is a placeholder to accept nominations for the GG:BGIA for Best Article Series. In general, any multi-article series about board games, either for a particular game, or board games in general, that was posted in 2005 will be considered. Note: point to the first article of the series. This post is a placeholder to accept nominations for the GG:BGIA for Best Humorous Game Article. In general, any article about board games, either for a particular game, or board games in general, that was posted in 2005 will be considered. This post is a placeholder to accept nominations for the GG:BGIA for Best Promotional/Advocacy Article. In general, any article about a board game or board gaming, either for a particular game, or in general, that was posted in 2005 will be considered. This post is a placeholder to accept nominations for the GG:BGIA for Best Strategy Article. In general, any article about game strategy, either for a particular board game, or board games in general, that was posted in 2005 will be considered. This post is a placeholder to accept nominations for the GG:BGIA for Best New Site. In general, any site that is primarily about board games and went online in 2005 will be considered. This post is a placeholder to accept nominations for the GG:BGIA for Best Online Gaming Site. In general, any online site that allows you to play board games will be considered. This post is a placeholder to accept nominations for the GG:BGIA for Best Online Game Journal or Magazine. In general, any collated and edited online regular journal or magazine about a board game or board games will be considered. This post is a placeholder to accept nominations for the GG:BGIA for Best Game Club Site. In general, any online site maintained by or for a board game club will be considered. This post is a placeholder to accept nominations for the GG:BGIA for Best Game Community Site. In general, any site that provides for people to communicate about board games will be considered, including web sites, chat sites, bulletin boards, or mailing lists. This post is a placeholder to accept nominations for the GG:BGIA for Best Game Information Site. In general, any site that posts information about board games will be considered. This post is a placeholder to accept nominations for the GG:BGIA for Best Game News Site. In general, any online site that regularly posts news about board games will be considered. This post is a placeholder to accept nominations for the GG:BGIA for Best Game Publisher Site. In general, any online site maintained by a board game publisher will be considered. "Merry Christmas" and "Happy Hannukah" to those who celebrate such! With a "Bestivus of a Festivus" for the restuvus! Everyone at Gone Gaming wishes you a wonderful holiday season full of love and laughter. The following is an excerpt from the Trans-Siberian Orchestra’s “The Christmas Attic” album, printed with the kind permission of TSO. I think is has a beautiful message for everyone no matter what their belief. And the dreams that lay broken. With no words ever spoken. And the blocks turned to miles. Was now in that Child’s hand. And the years they had taken. Till each dream was awakened. And all the world’s not the same. I believe he lives on. I will dream him again. Warning: The following blog contains 1686 calories per serving. Serving size is approximately 1 paragraph. Ava Jarvis is another of the distinguished voices on Boardgamegeek. You probably know her as BilboAtBagEnd. I hesitate to say that she is one of the distinguished female voices on BGG, because Ava rarely makes an issue of the fact. Her's is the distinguished voice of an experienced gamer. I confess that I no longer pay attention to the "what-game-would-my-wife/girlfriend-like-to-play geeklists", but I think Ava ignores them even more than I do. You will find her making insightful comments on the "best-heavy-abstract-two-player-games-designed-by-Tibetan-monks-and-based-upon-Go geeklists", which, I must confess, I tend to ignore also. If I were to ever respond to one of those "which-BGGer-would-you-most-want-to-play-with geeklists" Ava would be near the top of my list, and not for a light game either. At any rate, have a Merry Christmas and heeeeeeeeeere's Ava. Theme on a game is like icing on a cake: it helps make a cake quite irresistible, usually provides a welcome counterpoint in texture taste compared to what it's covering, and can occasionally save a not very exciting torte. Mechanics, or the cake, must be there. Cake is cake. There may not be a lot, or it may be as thick as a brick, but you need a cake to... have cake. Otherwise icing is merely a moist puddle on the table. Some people prefer their games with quite a lot of icing, complete sugar masterpieces with little marzipan treasure chests, sugar-spun dragons, and blue-gel lakes. Some people prefer, and even insist upon, a cake with a simple and delicate sugar glazing that barely hides the cake, much less overcomes its flavor. Most of us don't mind either extreme, and are fine with the regular celebratory-cake that is in between. People can get rather heated up about icing, actually. "Hey! That cake has barely any on it. How can it be any good? It seems kind of... boring." "What do you mean barely? Look, there are little *scallops* along the edges, and the berry mixed in really does add something to the taste. It doesn't have to have little sugar meeples to be good, you know." "That cake is so loaded with icing it makes me sick just looking at it. How can *they* eat it up?" Moving away from the confectionary comparisons, the issue of theme comes up quite a bit. But for an aspect of games much discussed amongst a population that, in large part, thrives on numbers, theme is a very touchy-feely quality. People usually say, "that theme is pasted on", referring to an actually large range of theme scale points (if such a thing existed). Or else they say, "it drips with theme", while talking about German games. We talk as though a game either has theme or hasn't, as if theme were some afterthought we could just slather on in the right proportions, and the game author either put on too much or too little. FOUR is the least number of points needed to form a three-dimensional shape: the tetrahedron. Any less, and you have at best a plane. Three-dimensional shapes are "real" in the sense that they are in our world and we can grasp them, manipulate them in ways that we can easily relate to. Here you find the games that definitely do drip in theme, and few people, if any, would disagree. Typically these are the adventure games of great and sometimes exhaustive detail, for it is detail that brings ideas to life. Magic Realm very firmly anchors this point of the path. Talisman, Descent extend it, and you can see, farther up the path, Return of the Heroes. In the question of chicken and egg, theme seems to have come first, and the mechanics were chosen to support the theme. THREE is the smallest number of points that describe (and will always describe) a plane. In terms of three dimensions, planes can be looked upon from many angles, and I think this is why so many arguments can crop up in this area, between Four and Two. What looks flat and linear to one person will look almost tetrahedral to someone else. But if you look straight on, you'll see the loop. At Three, we find games that effect a peculiar synergy between mechanics and theme. Mechanics and theme inform each other, affect one another. But the mechanics were formed first. The seminal game here is Lord of the Rings. Like any Knizia, the mechanics are sound and could almost exist by themselves---indeed, they are recognizable variants of mechanics from other games of his. The Hobbit cards people will recognize from Taj Mahal and Ivanhoe. Appropriate card suits---friendship, travel, fighting, hiding, and the Ring as the joker---are used here. But the theme does not stop there. Theme informs mechanics: different scenario boards require different suit focus, yield different rewards, and are harder or easier in particular suits depending on what scene from Tolkien's epic is being played. In Moria, you will need to fight well to get out of Balen's Tomb and out of the mines (and fighting is the main suit that needs to be advanced on that board), but only some well-timed fleeing will get you enough life tokens to stay out of harm's way. Yet fight not enough, and you will not be able to stop the taxing and horrifying events from occurring. Some events you can stop---be well-hidden and far enough through the mines, and you won't fall prey to being trapped between a Balrog and a hard place. But the mechanics don't stop there. Mechanics inform theme: the Hobbits must cooperate, and divide their attentions efficiently in order to get through a scenario. Sacrifices must be identified, judged, and---most importantly---made. Note that there's actually quite a lot of road between Three and Two. Take a look at Shear Panic. At its heart, it's just another abstract, but the scoring track really shears the theme for all its wool. "Staying close to Roger the Ram" or "Staying as far away from the shearer" carries as much thematic weight in the world of Shear Panic as "making sure that Shelob doesn't attack" does in Lord of the Rings (both game and book). Not all games between Three and Two are completely coupled to their theme. If we take a look at Richard Breese's Reef Encounter, it is arguable that another theme can be applied. But that theme would have to wedge itself into the conceptual niches of the coral-scoring parrotfish, the protective shrimp, and the breeding and moving corals. You need thematic components that "eat" tiles, protect tiles, and a thematic representation for the tiles themselves that could grow and spawn, and attack overnight in strange stomach-turning ways (yes, I watched Blue Planet's Coral Seas episode, from which this game is based). I could even have used Tigris & Euphrates as an example, which has a river-valley civilization theme that would need to be quite rudely uprooted and replaced, not just with respect to the leaders and temples, farming and the river, or the marketplaces and flexibility.... but also with respect to the two rivers wending their way on the board. TWO points will always form a line. The idea of "two" is that of balance---duality, Yin and Yang, brother and sister, twins. But balance is a concept that belongs to mechanics---and not to theme. In this area of the path, theme serves mechanics, and there is much less of a relationship between the game and its theme. Mechanics wear themes light around here. This is not to say that theme is entirely dispensable, and there are undoubtedly quite a few shades of gray between the feedback loop and the flatline. Around and about here are games like Torres---whose theme of knights and towers is a pleasant decoration of an abstract of height and action point manipulation. But while knights and towers are associated in mind, it's more in the way that a knight and a rook would go together in chess. The relationship of knights and towers to scoring go a bit beyond typical association, although it does help to think in terms of knights controlling higher towers in larger castles as having more worth. Ra is another example, and more likely closer to the seat of this area: suitable Egyptian objects are used for the sets that we wish to collect, but apart from that, there is not much in the way of Egyptology-orientated meaning. It's nice to have one of each of those monuments, or to have a couple of gods to spend within the current epoch, but another theme involving commonly associated objects could fit in (and did---as the less classy but more modern gangster theme of Razzia! showed, although it would have been nice if more elements from Ra, like the disasters, had also been added in). The games here could do without theme, but they would be harder to grasp. Associativity, even light associativity, is a wonderful thing for understanding. The towers in Torres have doors that the knights can walk through, and which help express a certain attribute of movement in the game that would otherwise be difficult to describe elegantly. But we understand doors in towers. Likewise, whatever the theme used in Ra, it helps that if we have one set category that comprises eight related but distinct items (like monuments), a set category with a relationship that can be expressed as one-requiring-many (the niles and floods), appropriate disaster examples for a set, etc. ONE is a single point in anywhere---from one dimension up to as many dimensions as you like. From one comes the rest---so we may regard this point of the path as belonging to games of pure mechanics, no theme need apply. At the single point, games here need to be elegant and simple, since there is no theme to hang associations upon. The time-honored Chess may actually be considered to be a little bit off from this final location, towards Two: the knight on horse jumps, the rook moves like a siege engine, and the pawns are reminiscent in power and scope like foot soldiers. Games like Hive would be in a similar position. But with the simplest of games---such as Go or the games in the GIPF family---there is no theme between you and the game. There does not need to be: in this sphere (and this place may, perhaps, truly be thought of as a sphere, a much more localized and polarized point), the mechanics can become almost like theme, or perhaps they are theme. Go is often thought of, written of, and played like military formations and movements, with tactics that sometimes seem straight out of The Art of War. YINSH is often described as feeling "highly energetic"---a much different feeling, brought out by its mechanics, than the methodical pushing that is GIPF itself, or the harried race-the-clock flipping of TAMSK. One question occurs: If mechanics are theme, then are theme mechanics? And here endeth the tale. I'm glad you made it all the way through, and hope you enjoyed it, or were at least a little bit amused. Richard, Cori and I sit down at the kitchen table to play a game—it doesn’t matter which one, pick any game that takes longer than 5 minutes to set up and play. I barely sit back down when Bear (my black cat) decides that if Serek is going out, he wants out, too. Repeat above process to hurry Bear on his way. “Oh, wait for me,” Spencer (Cori’s long-haired black cat) says and scoots out the door after Bear. O.k., let’s see. Cori took her turn but before I can comprehend her actions, there’s a “thunk” at the door. That’s the sound of the pet door swinging inward and hitting the inside door. Richard stretches sideways, leaning at a precarious angle from his chair, and opens the door. In bursts a cold cat. Serek has found out that it’s cold outside and even the birds are hiding somewhere with their feathers puffed up for warmth. Ten seconds after the door is closed, there’s another “thunk.” Yes, Bear has made the same discovery as Serek. No, Spencer isn’t right behind him; that would be too easy. We get in a whole round before he’s bored and wants back in but by now, Serek has forgotten that it’s cold and miserable outside and wants to give it another go. Rinse and repeat until we humans have had enough and yell at the cats in our hopelessly optimistic way. Much of our concentration is now gone as we listen to cats meowing and clawing at the doorframe in their attempt to make us change our minds. If we can hold out long enough, they will go away and play. Unfortunately, that can be as distracting as opening the door. We manage to take another couple of turns when a terrible cacophony of hissing, yeowling and thumping of small bodies assaults our ears. “SPENCER!” He’s the biggest and a bit of a bully so the other cats do not enjoy his idea of a good-natured romp. Now Tucker (our Corgi) figures it’s a good time to go outside and leave the madness behind but at least he doesn’t require the same flap-opening courtesy that the cats do and pushes his way through and into the cold. His expedition lasts five minutes which lets us play uninterrupted for that long. Suddenly I feel a sharp pain in my leg just above the knee. Hello, Bess (my tortoise shell baby). She’s feeling neglected but doesn’t really like to be held so I reach down and pet her head and Cori checks to make sure there’s food in the cats’ bowl. With the grace only a feline possesses, Bess has landed on the table. Luckily, she’s barely touched the board but if you try to pick up a cat and remove it from where it wants to be, the physical fight that ensues results in something getting destroyed. The best bet is to help the misplaced kitty to a more desirable setting with a little push in the right direction. Whew, that was close. Alright, it’s my turn, right? So, my friends, who’d like to bring over their brand new copy of Caylus to teach to me and my family? I hear it’s a great game and only takes about 4 hours. Until next time, laugh, love and wonder. So, what did www.ParlorGameGeek.com look like in 1870? Review by Sir Thomas Vincent Assalinus, III, Esq. The latest offering from Fortnights of Amazement, The Bellman is a new simultaneous-action dexterity game that builds upon the success of last century's Blind Man's Bluff. In fact, if you liked the latter, you will like the former, since they are essentially the same game with reversed roles. Opening the box I wasn't surprised to see that the components were of high quality and up to the usual standards for a Fortnights of Amazement game: the game comes with no components. Or box, for that matter. Players begin by choosing The Bellman: youngest player, oldest, whatever. Everyone else now puts on a blindfold, while the Bellman requires a metalic ringing device of some sort. We weren't sure what to use for this, so we just gave him two metal rods to bang together, which worked out ok. The Bellman begins making noise while moving around the room. In order to win the game, one of the blindfolded players must "catch" The Bellman. At this point the winner starts off another game as The Bellman. That's it. 1) Components: The usual stuff for this sort of game. 2) Rules: The rules were simple and elegant. There were a few rules questions, such as what to use for a ringing device, and whether players can swing large 2x4s while wandering around the room (the rules didn't say that you couldn't), but we managed ok (with a few injuries). 3) Luck: There was a fair amount of luck, but tactics also came into play. Catching The Bellman is trickier than it seems, especially as all the players are playing simultaneously and their efforts are working against each other. Definite high replayability in this regard. 4) Theme: The theme matched the game mechanics very well. You really felt like you were running around trying to catch some idiot ringing a bell. 5) Player interaction: There was a lot of interaction, as each player moves simultaneously while trying to acquire limited resources ... resource. As a bonus, there is no early elimination or runaway leader problem. Everyone felt like they had a chance right up to the very end of the game. 6) Fun Factor: We had a blast playing The Bellman. Several times during the game we were laughing our heads off. Especially when Charles reached out to grab The Bellman and ended up grabbing Victoria on her ... elbow. Bottom line: This is a great party game, another in a long line of great games from Fortnights of Amazement. Highly recommended. Games played at last evening's tea party at McEssen Manor. Mr and Mrs Alderan Derksington were our hosts, along with Mr M______ and Ms N________ who are visiting from E_______ on the coast. Animals - This being, of course, last year's expansion to the familiar and illustrious Blind Men's Bluff, wherein a player who is caught must make three sounds as an animal named by the catcher. The catching player must then attempt to identify the caught player using these sounds, and, if he or she cannot, the caught player is let free, and the other player must return to his or her industry of catching another player. As for myself, I do not favor expansions over the original game overly much, with the exception of the nine princely expansions to that all time classic game of swapped identities, Mundane Encounter. In any case, this game was ended after Lady Williams, arrayed in a darling blindfold and dark marroon calico print dress, stumbled over Mr Thonquinton's great dane "Snuffles", and fell into the lake. Anklen Memo - I josh with you, of course. Shadows - This lovely game, wherein players must pass behind a screen while another player tries to guess who that player is, was a rousing success, and thoroughly entertaining. I must confess that I was so amused that I even went so far as to tap my cane delicately upon the floor and remark "Hear, hear". I do so make a fool of myself at parties. During our game, Mr Beasley couldn't recognize Mrs Beasley's shadow from the rear end of the horse that had stumbled behind the screen. To top that, noone was able to recognize Mr Grognads form in any way whatsoever. Hot Boiled Beans: Session Report by Mr Clooless. Jim started out as it and Mary was his target. We all shouted "Hot boiled Beans", and then he was cool, cool, cool, warm, warm, cool, warm, cool, warm, warm, hot, hot, hot, and then he won. P.S. How do I get a GeekGold for this? OK, I won't bore you by doing the rest of this, but, for your own amusement, try to see how these games would rank against modern games which you have rated, and which have benefitted from over a hundred years of evolution. Are today's games better? Blind Man's Bluff - one blinfolded player must catch any other. Detective - One player is thief, one is detective. Thief doesn't know who detective is. Thief tries to steal handkerchief from middle of circle before detective catches him. Forfeits - each player must give an item and then do a truth or dare for the item to be returned to him or her. How, Why, When, and Where - Players must guess a word by asking only "How do you like it", "Why do you like it", and so on. The answerer may fool the guessers by having used a homonym word and answering for the homonym. Lookabout - One player hides an object, the last to find it loses. Pass the Slipper - One player must guess where the slipper is that is being passed around by the other players. Proverbs - One player must guess a proverb spoken by others, where one word of the proverb, in order, is introduced somewhere inside each sentence spoken by the other players. Ten Fine Birds - Players try to repeat an ever increasing list of objects (like I went to a picnic and brought a ... and a ... and so on around the circle). The Ball of Wool - Players try to blow it off the other side of the table against the puffing of the other players who are trying to do the same. The Barnyard - Each player is an animal, and must make the right noise when his name is said during a story, or when the word "barnyard" is mentioned. The Courtiers - One of several variants of Simon Says. The Endless Story - One player starts a story, each player continues for exactly one minute, and the last player must wrap up the story using all elements said by other players within one minute. The Name Game - Each player places 10 pieces of paper containing a noun into a hat, and each player has 30 seconds to guess as many as s/he can as the papers are pulled out from clues given by the puller. The Post - Each player chooses a location ("London", "Brisbane", ). Postmaster calls out two locations who must change seats before he can take one of theirs. Throwing Up Lights - two players converse about a word without speaking it. As each other player guesses, they may join the conversation. The last to guess loses. You're Never Fully Dressed without a Smile - One person must make anyone else smile, who then becomes "it". Last week my entry for the blog indicated I’d probably be all sentimental and maudlin for the next two weeks, what with it being Christmas and all. 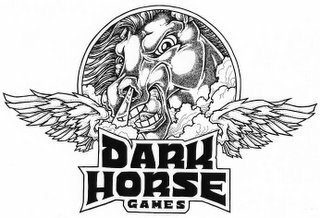 So here’s my sentimental blog about why my game store; Dark Horse Games, was successful and why it enjoyed a lifespan triple that of most of the game stores I've visited. 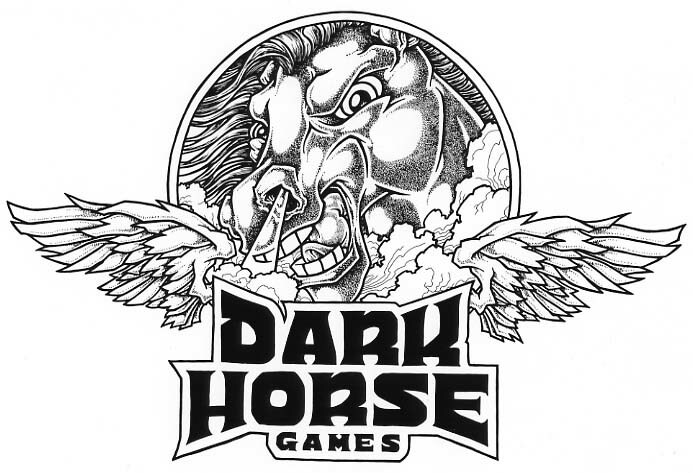 Dark Horse Games was unique in many ways. Probably the best thing about it was that it had an atmosphere of friendliness. It really wasn’t always the most inviting place physically, though we tried to keep it reasonably clean and uncluttered. But it was operated with the concept that people who came to us for games were people who were like us, our ilk. And if you’re going to be part of an “ilk”, then our philosophy was to treat your own ilk well. On a business level I consider my personal skills to be average at best, purely stupid at worst and randomly lucky or horribly flawed in between. I can’t even count the amount of mistakes I made in 23 years and looking back, it’s a wonder to me that anything I did worked. But it worked. There were even spectacular years. Ones where I made enough money to actually imagine that I might possibly be brilliant, or at the very least, pretty damned lucky. No matter though, I spent it all foolishly or pissed it away on wine, women and song. Over the next 10 days I’ll box up the remains, put it all in storage and slowly dribble it off on eBay for the next couple of years. And for the first time, I’m doing this without the people who are really the reason Dark Horse Games was a great store. My family. Jaimy, Mel and DW surrounded by Gamer Goodness. That’s because they don’t live here anymore. My lovely daughter Jaimy lives in Chicago. 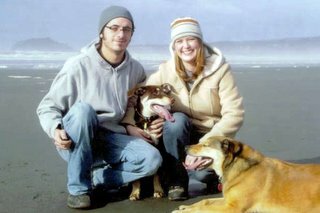 My handsome son Marshall haunts the redwoods of Northern California in Eureka and my dad, who is also my idol, is still over in Boise, running a VFW chapter, being a money manager of some sort for the Salvation Army and doing errands for his long time companion Evelyn. The real credit for the longevity of Dark Horse goes to them. My two children because I really, really wanted to give them an opportunity to learn how to work. I may sound like an old fashioned parent, which I guess I am, but I have known several thousands of teenagers over the years and the one common trait that afflicts so many of them is a lack of understanding the basics of work. Timeliness, completion of duties, adherence to a standard, courtesy, acquisition of new skills, the instilling of adequate self-discipline to power them through the drudgery of work they don’t enjoy and a myriad of other traits that are what I believe truly shapes a person’s future. And to my dad because he was there when I needed him to be. Because he never complained, never asked for anything, was gracious when I compensated him and because he’s a gentleman, a hero of a horrible war and just a fine human being. Jaimy started working for me when she was 14 years old. She’s very pretty. Her mom is of Sicilian/Italian descent and Jaimy lucked out by receiving the dark Italian beauty that drew me to her mother. Imagine if you will, a pretty little 14 year old running the counter in a game store that primarily deals in RPG’s, Warhammer, war games, CCG’s and other arcane products like alternative comics and tarot cards. She was stunningly successful. Everybody liked her. The kids from her high school who were gamers were in awe. She was hit on repeatedly by many of them and even by some who ought to have known better. I watched her winning ways with them and damned if she didn’t do just about everything right. And Jaimy wasn’t a gamer. Not by a stretch. I tried very hard to get her into Magic when it appeared, but she didn’t care for it. Really, she didn’t care for games at all. But she did love many of the alternative comics like Sandman, Death and anything by Evan Dorkin. She worked for me for about three years and by then her brother Marshall was ready to take her place and she moved on to other jobs outside of my control. Probably one of the best things that has ever been said to me was when she told me that it was her experience at Dark Horse that helped prepare her for the real world and smoothed out her unwarranted judgments about people based on their appearance or social skills. She thanked me for not letting her go to work at the usual McDonald’s or other job mills for teenagers. I reckon though that she’s the cause of every success she has experienced so far. She got a tough degree in Biology from U of I, in one year less than the norm. She’s traveled in Europe and deep into Mexico. She speaks Spanish well enough to be considered Spanish-speaking and she is the most determined and unrelenting person in my family when she has a goal in mind. She’s had quite a few really hard decisions to make in the last year and she has held her ground and stuck to her principals. I admire her more than any woman in the world. For some reason she is currently an Agricultural Customs Officer based out of O’Hare in Chicago. Not in a million years would I ever have guessed she’d be doing that. But it’s a great and vital job and I don’t doubt she’ll get exactly what she needs from the experience. When my oldest son Marshall came to work for me he was a real test. In truth, when my oldest son Marshall was born he was a real test. What a monster. Defiant, smart, stubborn, literate, sneaky, compassionate towards animals and despite the evidence that he is a family-oriented person, he gave us all hell for years. He hated working for me. I started him at $2 an hour and when he asked why so little I told him I figured I was only losing $1.50 an hour that way. But damned if he didn’t take to it like a duck to water. He played Man O’ War, Settlers, and many other games with the guys. When Magic hit in late 93’ he’d just started at Dark Horse and he got hooked. Marshall played the game well and he spent almost all of his money on cards. Betas and Unlimited and Arabians and Legends. Hundreds and hundreds of dollars, all at cost. He devised a plan to make 60 card decks of commons and sell them for $2 each at the store and we sold hundreds of them. He painstakingly put them together one by one and lots of people loved them because they worked so well for casual play. Marshall, his beautiful wife Michele and some extremely excellent dogs. One of the best trips in my life was when he and I went to Origins together when it was in San Jose. He went wild, packing his backpack with Legends packs and selling them for $5 each. He kept $1.50 from each one, gave me the rest and he probably made $400 during the Con. Then one day he asked me to sell all his cards on Usenet for him. He said he was done and wanted a computer, a nice guitar and a mountain bike. When I sold them Marshall probably netted about $3500 pure profit. Not bad for a 14 year old kid. He quickly blew $1,000 on a pc from some local loser who was building total crap. The junk pc Marshall bought broke so often that he got mad. So mad in fact, that he fixed it. And then he made it better. And then he got my approval to get internet access. I never heard the sounds of pc games from his room. All you ever heard was him playing blues on his guitar or cursing at his array of computers or typing furiously on this or that hidden hacker site. 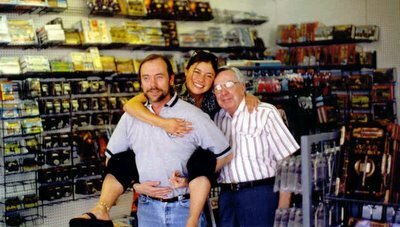 Marshall always treated every customer like they were special and he never once uttered a negative word about geekiness or misfits, he just seemed to understand people, why they were there buying games and that "normal" is a myth. He also went to U of I but he only lasted two years. He had a summer internship at a defense contractor in Washington and they asked him to stay on… at $45K per year. He told me about it after he turned them down. Seems he had ethical considerations about what the feds wanted and what he was good at. He had decided that networks deserved privacy, not incursion and he was morally inclined to deliver defense rather than attacks. As a dad it was hard for me to bite my tongue. That’s a lot of money for a 20 year old kid. He was right, of course. I have no idea what he makes today but its way more, even adjusted for inflation, than I did when I was 25. I guess he’s some sort of Unix savant and he gets to live in a remote coastal town and take care of servers that are hundreds or perhaps thousands of miles away. Perhaps that $2 an hour was the right thing to do? Perhaps. Or maybe he’s just smarter and more mature than I was at his age. I choose the latter and I suspect all I did was give him a place to learn what he needed to learn so he could move on to what he really loved. My dad pretty much saved my store. He retired, sort of, in 1987 and moved up from New Mexico to help me with my kids. They lived with me and only visited their mother twice a month. When I got strapped for help at Dark Horse my dad stepped in. That was 1988 and he was there until the middle of this year. 17 years. After retirement. Everybody… and I mean everybody loves Mel. Gamers would come by just to talk to him. Or perhaps to talk at him. We had a substantial military contingent and they saw the real thing in my dad. It took him a few years to get over some of the odd habits, social ineptitude and strange behavior of the RPG and CCG crowd, but despite having been born in 1926, Mel overcame his Depression era, military-haircut, Texas Gentleman prejudices and he never missed a chance to work the counter. It had to have been odd for a newbie in the store to be greeted by a gray-haired older man who frankly, didn’t have clue one about anything we sold. He never showed any interest in any of the games either. None. Mel is just not gamer material. No matter what trouble I got in, no matter how distressed I might have gotten financially or during a divorce, or whatever, my dad was like a rumbling diesel engine, never stopped running, always there when you needed him, never complaining and totally skilled at making any human being who walked in the store feel good. In retrospect folks, the reason every gamer ought to have a local store like Dark Horse is not because of people like me. I was pretty much just a facilitator. I wouldn’t have had squat without the three people who really made my store work. My two kids because I needed to have a place to school them in ways that traditional school doesn’t offer and my dad because I’m pretty much a flaky goofball and he is the frickin’ Rock. The main thing that makes great local stores great is they are filled with gamers and hopefully with people behind the counter like my dad and my kids. Bottom line for me, the reason I don’t want to own a game store any longer is that the goals I strived to achieve with the store have now been met. My kids have grown up (well, except for the new one, but that's another tale), my dad is loving life as he approaches his 80th birthday and I have a whole new set of goals and some unfinished business that I want to tackle. My advice to those who want to own a game store is to have a really good excuse to embark on that particular adventure. If you happen to have one or even several local stores but find yourself critical of them, give them another chance, try looking at them as people like you instead of as mere merchants. I’m convinced that retail stores are the foundation of board gaming and its recent and past success. I’d hate to be without one and even though many things can be bought for less online, there are plenty of good things that a nice local store offers that aren’t about the money. Being a game store owner is truly a blast. It's very, very difficult to suceed at it but if you surround yourself with family or good friends, treat the customers as you want to be treated and are willing to buy used instead of new for a decade or so, the pay-off trancends money by quite a bit. To be honest, I have ten times more respect for someone who owns a really crappy game store than I do for the gamer who does nothing but complain about how crappy that particular store is. In the end, it's just games... we're not talking about vital medicine for sick babies here. Be nice to your local store and if they haven't learned how to be nice to you, have the courtesy to tell them so... and perhaps even ask them to change. Have a damned Merry Christmas, a Happy Hanukah, and a Kool Kwanzaa and for you atheists, have a nice holiday and I hope you get many fine lumps of coal.